Our first ever onsite stay was as Old Key West for our honeymoon. Instantly I was in love and knew next time I visited Walt Disney World that I would have to stay onsite again. Two years later I was planning my next Orlando adventure and I had that awful decision to make – what hotel would I book? I know its a proper first world problem but I find picking a Disney hotel so hard. In the end up we booked Port Orleans French Quarter and I am so glad we did. This hotel really is the best of all the moderates and we have gone on to stay at the resort several times. The resort is fairly small by Disney terms so it never feels like anything is far away. The theme is just perfect. Well I think its perfect as I have never actually visited New Orleans. One day I will! If you have a stay booked at Port Orleans French Quarter then you are in for a treat. To make your stay even better check out our top tips below! Walt Disney World has just about every type of transport you can think of – monorail, train, tram, bus and boat! Most guests are just looking from the quickest way to the park but by doing so they are missing some really nice experiences. The boat ride to Disney Springs takes about 20 mins and it is such a beautiful journey. Disney certainly knows how to make a beautiful resort. This place is postcard perfect. When you need a break from the parks I would recommend enjoying a quiet stroll around the resort. The beauty is that because the resort is not massive you will easily be able to see it all. If you are travelling with a family then this tip wont work for you. It only really works if you are a couple, solo or travelling with someone you are happy to share a bed with! The reason I suggest getting a King room is simple – the room is huge! Its like getting a deluxe room for the price of a moderate. There are no bad locations in this resort. 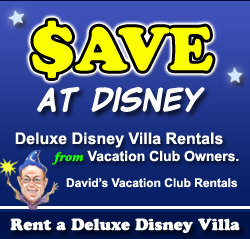 This is a huge benefit of the resort being one of the smallest. No matter where you room is, you will never be more than 10 minutes walk from the front desk, bus stop, pool, shop or food court. This point doesn’t really need much narrative. Try them you wont regret trying this New Orleans speciality! Recently the quick service, Sassagoula Float Works, has had a makeover. If you have visited before you I am sure your dreams will have been haunted by all the float heads and masks dangling from the ceiling. Those are all now long gone and the restaurant has a clean fresh new look. In addition to the new look there is also a new menu and new sweet treats to try. Below is the King Cake – another New Orleans speciality. This is delicious! Soft and moist and oh so yummy! They also have some other new items on the menu. Below is the grilled chicken sandwich. All the dishes are fresh and they even come with real cutlery and real plates! Okay that may not seem like a big deal but trust me not many Disney food courts give you real plates! The new hanging decoration’s in the food court. These will not give your kids nightmare. These are all my favourite tips for staying at Port Orleans French Quarter. Let me know in the comments you favourite tips or if you love the resort too. Again we have stayed at the French Quarter on numerous occasions, we don’t drive so the size and set out of the resort is absolutely perfect. However one thing to be aware of that we discovered on one trip is that when you book and pay extra for a river, pool or garden view they will count a ‘side view’ as fitting this category.